See what customers are saying about our heating and air conditioning repair in Batavia, Illinois. 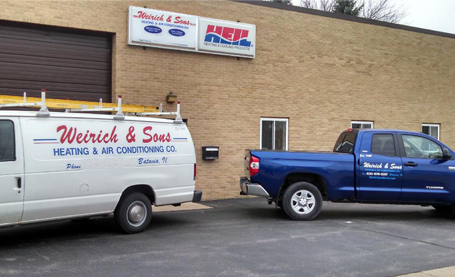 "Our furnace wouldn't kick on this morning so I called Randy at Weirich & Sons in Batavia. He's not the most outgoing guy on the phone - he's rather abrupt - but I certainly wasn't calling to chat and better still, he was here in less than a half hour. A couple things - he knows our house and, after coming to the front door, he said he'd go in/out through the garage to keep from tracking in. He quickly figured out the issue and gave us the option of having the part today (which would cost more) or tomorrow (through his regular wholesaler). I liked the fact that he gave us the option to save money if we wanted. Very honest, exceptionally knowledgeable and speedy service." 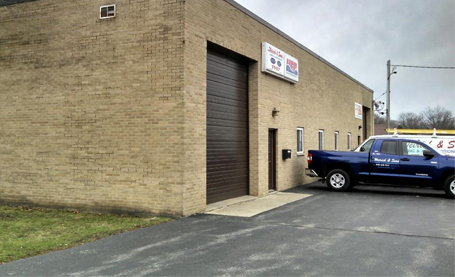 "I have always had the BEST service from Weirich. They are very efficient and respectful, I have birds and they frighten easily, but I have never had a problem when they are here. I also like supporting a local family owned business."